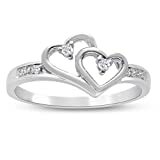 A promise ring is the perfect ring for that special someone your ready to date exclusively. 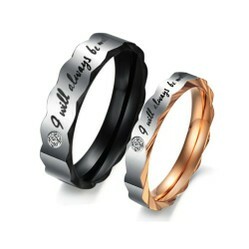 A promise rings says you're very special to me or a person I want to be serious with. The time comes that you feel no doubt about the special someone you're dating and you want to take the relationship further. The next step would be the promise. A promise between two people states you are both interested in dating only one another exclusively. The exact promise is one designed by you and your sweetheart. Together you both determine what level of commitment is right for you. A promise ring is a traditional symbol of the promise two people make to each other. It is also an expression of your love and pride in having agreed to be a couple. The promise ring is a symbol of a new and deeper level of love between a couple. Taking a relationship to the next level calls for a symbol of this milestone. The most common step is to make a promise to date only one another. This varies with each relationship being different so to is the level of commitment and agreement. The promise ring is a step away from engagement and bears no obligation or agreement to marry one another. It is a step away from friendship being a transitional phase in a relationship signaling we are now more than friends. Often times both people in a couple wear promise rings. This practice is similar to that of married couples sharing wedding bands. It is a matter of individual taste and yet becoming more the norm and in greater popularity than in the past. This is a fun option serving as a reassuring reminder to both people in the relationship of their special bond with the one they love or date exclusively. 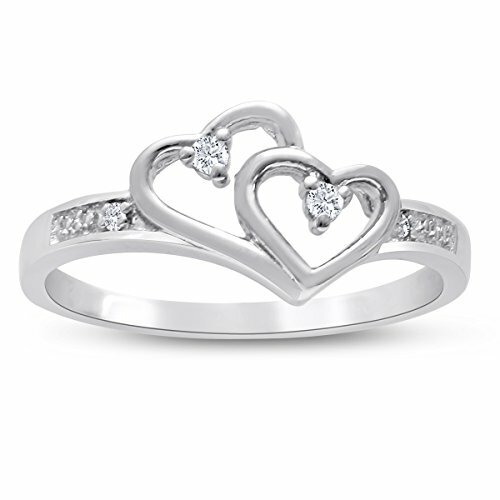 The cost of a sweetheart ring ranges from anywhere to $40.00 like the ring above of as high as desired. Traditionally less is paid for a promise ring than a engagement ring. They often have the symbol of one or two hearts with or without a small diamond or cluster of diamonds. The options vary with no hard and fast rules as to what classifies as a promise ring. The actual choice is really up to the buyer and what they feel is a ring their sweetheart would be most moved by. Anytime you feel the relationship is ready to make such a promise you should take the persons preference into consideration. The ring many Christians choose to give often includes a cross. 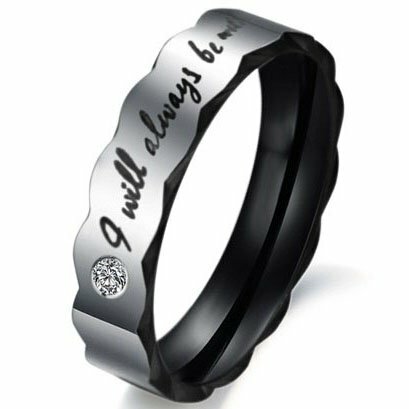 Many Christians often want to include a shared commitment to their religious faith when buying a promise ring. The above is a beautiful option to do just that. There is no requirement to do so and yet the option is available. 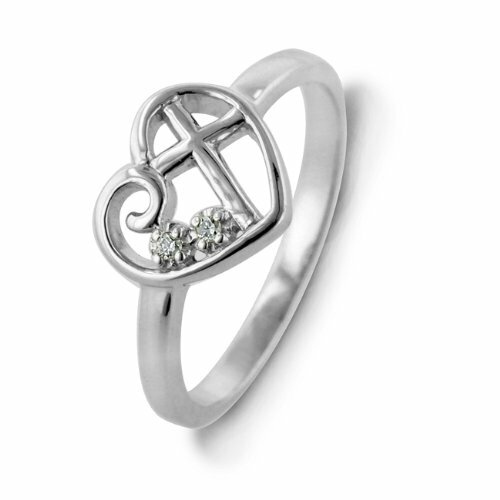 Have you ever received a sweetheart ring and what did it mean to you? It still means a lot to me because of the feelings at the time and because he died so suddenly and so young. This brings back memories. My sweetheart brought me a promise ring before we were engaged. The ring and my sweetie is still with me. DerdriuMarriner, I feel that is an individual couples choice, couples are unique and diverse. katiem2, Is it up to the friendly or loving couple as to who buys friendship and promise rings? If friendship and promises fall through, does the ring have to be returned if one person buys both rings? Make your marriage proposal as unique and individual as possible to create a memory that will forever serve as a reminder of your love. Learn how to blow your fiancees mind. If you want the answer to be yes, buy your beloved the princess cut blue diamond engagement ring. The ring that is sure to have her saying yes to your marriage proposal.